Joshua A. Burns was booked on three counts of endangering the welfare of a child on Aug. 7, when he turned his Jeep from Route 25 into the Splish Splash water park in front of an oncoming Dodge, police said. 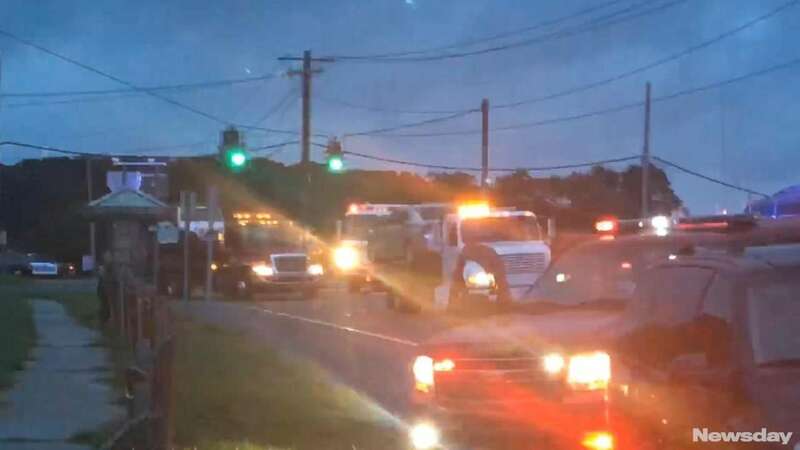 A man who drove from the Bronx to Calverton with seven people in his Jeep was arrested Wednesday on charges he caused the crash that ejected two children from his vehicle earlier this month in Calverton, Riverhead police said. Bronx resident Joshua A. Burns surrendered and was booked on three counts of endangering the welfare of a child on Aug. 7, when he turned from Route 25 into the Splish Splash water park in front of an oncoming Dodge, police said. Nine people were injured in the crash, and a girl, 11, and boy, 6, were ejected from the Jeep's rear cargo area, which had no seats or seat belts, police said. As the Jeep spun, one front tire ran over the girl, the most seriously injured with broken ribs and lung punctures, police said. Also, a 10-month-old boy was sitting on the lap of an adult at the time of the accident, but he was not hurt, officials said. Everyone in the Jeep and the Dodge driver were taken to the hospital, police said. The girl and boy who were ejected are recovering from injuries that were not life-threatening, police said. Burns is scheduled to appear in court in September. 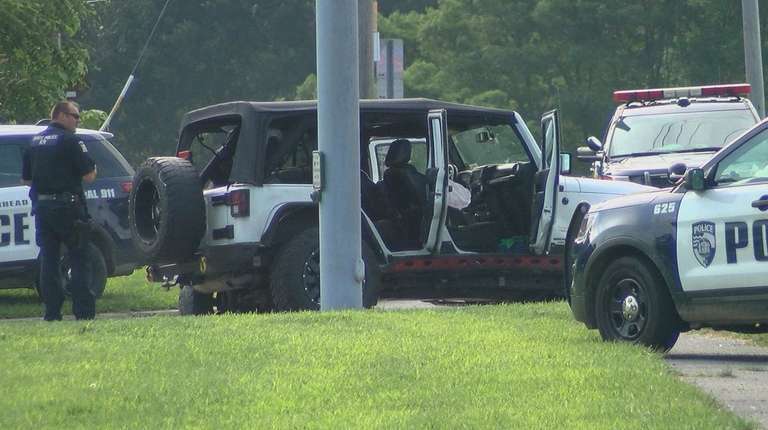 Officials: 9 injured in crash outside Splish SplashTwo children were ejected onto the roadway when a Jeep with eight occupants collided with another vehicle just outside the water park, authorities said. Crime in Nassau and Suffolk, 2006-2017 There were 35,503 violent or property crimes recorded on Long Island in 2017 by the state's Division of Criminal Justice Statistics, a 5.7 percent decrease from 2016. 5 ways to send story tips to Newsday Do you have information that might lead Newsday to an important story, or an investigation? A document that starts us on the trail? Here are five ways for you to send our journalists tips, documents and data with a range of security options.